Вы можете войти на сайт, чтобы получить доступ к информации, предназначенной только для членов сайта. Официальный сайт Церкви Бога не распространяет ваш логин или пароль по интернету. Пожалуйста, поймите, что это для того, чтобы обеспечить безопасность Наших пользователей. Если вы спросите в вашей местной Церкви, вы найдете свой логин или пароль более быстро и точно. The seven feasts in three times in 2018 began in the evening of March 30 (the 14th day of the first month by the sacred calendar), with the sacred assembly of the Passover. The feasts of the new covenant, which Jesus established for salvation of mankind 2,000 years ago, disappeared in history after Jesus’ Resurrection and Ascension, but have been restored and are being kept in the Church of God today. 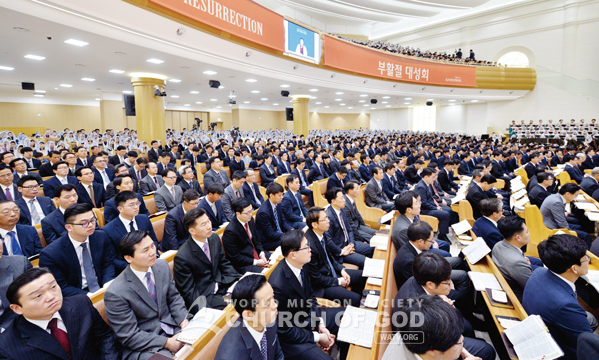 In 2018, the 100th anniversary year of the birth of Christ Ahnsahnghong, who restored the new covenant truth according to the prophecies of the Bible, the members of 7,000 Churches of Gods in 175 countries around the world participated in the feast, sincerely giving thanks to Christ who sacrificed Himself for many years until He restored the truth of life. At the worship services for the sacred assemblies of the Passover, the Feast of Unleavened Bread (March 31, the 15th day of the first month by the sacred calendar), and the Resurrection Day (April 1, the day after the first Sabbath day after the Feast of Unleavened Bread), Mother asked for the blessings of the forgiveness of sins and eternal life upon all Zions around the world, and prayed that all children would follow the path of love and sacrifice that Jesus Christ walked, with hope for resurrection and transformation. Jesus, who eagerly desired to keep the Passover with his disciples before the Crucifixion, washed His disciples’ feet before the supper with bread and wine. He set them the example that they should do as He did. The feet-washing ceremony originated from what had been done in the Old Testament times; the priests washed their hands and feet with water before entering the sanctuary (Jn 13:4–10; Ex 30:17–21). 3월 30일(성력 1월 14일) 저녁, 유월절 대성회에 참석한 새예루살렘 판교성전 성도들. 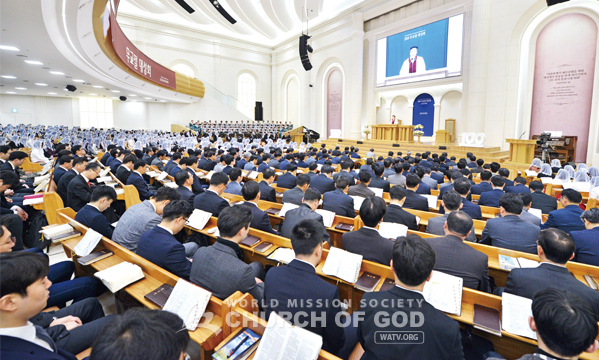 At the worship for the sacred assembly of the Passover in the New Jerusalem Pangyo Temple in Korea, Mother Herself washed the feet of Her children at the feet-washing ceremony. In the Churches of God throughout the world, all the members from the pastoral staff to lay members participated in the feet-washing ceremony according to the teachings of Christ and engraved upon their hearts how to humble themselves and serve others. 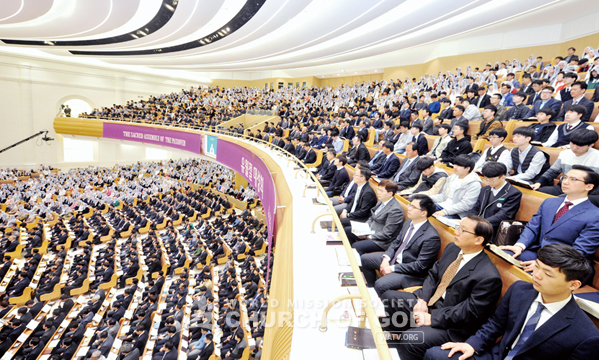 At the Passover Holy Supper service, General Pastor Kim Joo-cheol preached on the origin of the Passover and its meaning. At the times of Moses, when the plague of destroying the firstborn swept over Egypt, the Israelites who had kept the Passover by slaughtering the lambs according to the words of God were saved from the plague and freed from slavery. Pastor Kim awakened the members to God’s blessing, saying, “The Exodus shows the providence that God’s children will be freed from the slavery of sins and death by keeping the Passover of the new covenant. As no one can escape the judgment and punishment without the power of the blood of Jesus, who is the reality of the lamb, Jesus eagerly wanted all mankind to keep the Passover” (Rev 14:7; 2 Th 1:7–9; Ex 12:11–14; Jn 1:29; Lk 22:7–15, 19–20; Jn 6:52–57). After the prayer for the bread and wine, the members ate the bread and drank the wine, giving thanks to God for coming in the flesh to establish the truth of salvation. Mother said, “Passover is the happiest day in the world as we receive the promise of heaven and eternal life by God’s grace. Take pride in being a child of God by inheriting the flesh and blood of Christ, and give the love you’ve received to your neighbors without cost.” At this the members’ powerful response, “Amen,” filled the temple. “But the time will come when the bridegroom will be taken from them, and on that day they will fast” (Mk 2:20). The Feast of Unleavened Bread is the day after the Passover. On the day when Jesus died on the cross 2,000 years ago, the saints attended the worship service in honor of His sacrifice, by fasting, as recorded in the Bible. Mother gave thanks to Father for enduring the pain of death with the single hope of saving the children who wouldn’t be able to escape eternal punishment, and repeatedly prayed that the heavenly children who have received the forgiveness of their sins by the grace will always remember the sacrifice of God and have the absolute faith with which they won’t commit sin ever again. The Feast of Unleavened Bread is derived from the suffering that the Israelites had gone through after they had been set free until they crossed the Red Sea, being chased after by the Egyptian army. 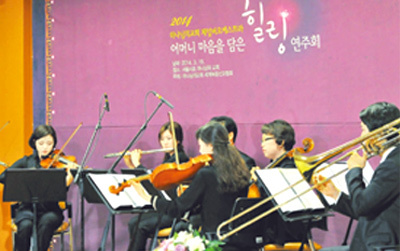 General Pastor Kim Joo-cheol explained that the prophetic work of the Old Testament was fulfilled by the Crucifixion of Jesus: “The disciples betrayed Him, fled away and denied Him, and the people and the soldiers insulted, beat, and mocked Him, but Jesus endured tremendous suffering only for the salvation of mankind even at the painful moment of Crucifixion.” Pastor Kim encouraged the members, “We who follow the example of Christ should also carry our own crosses until we enter heaven. Let us realize that suffering makes our faith strong and perfect, and overcome any trials as Jesus did” (Ex 14:1–13; Dt 16:3; Mt 26:45–50, 67; Isa 53:1–12; Mt 16:24–25; 1 Pe 5:9–11; Ac 14:22). The Resurrection Day is the day when Jesus overcame the power of death and was raised from the dead on the third day after He was crucified, and gave mankind hope for resurrection and transformation. The members of the Church of God around the world, who kept the Passover and the Feast of Unleavened Bread holy, celebrated the sacred assembly of the Resurrection Day with joy, remembering the power of Jesus. The feast name for the Resurrection Day in the Old Testament is the Day of Firstfruits, which was derived from the day when the Israelites, who had been chased by the Egyptian army, crossed the Red Sea, and landed at dawn. The Israelites’ entering the Red Sea means Jesus’ burial, and their landing from the Red Sea refers to Jesus’ Resurrection. 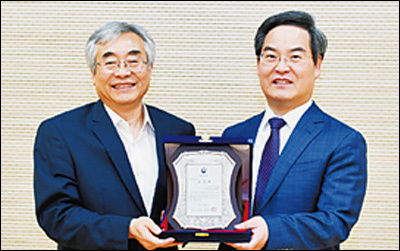 General Pastor Kim Joo-cheol, referring to the history of the Old and New Testaments, said, “Jesus was raised from the dead and gave the faith that human beings, who were unable to escape from death and judgment by the chain of death, would be resurrected and transformed into spiritual bodies and enter heaven.” He prayed to deliver the message of salvation to seven billion people quickly and to see the glorious and joyful day all together (1 Co 15:20; Mt 27:50–53; 1 Co 15:35–58; 1 Th 4:14–18; Php 3:20). The members broke the bread of the Resurrection Day, remembering Jesus’ appearance to the two disciples going to Emmaus on the day of His Resurrection and opening their eyes by the bread He gave thanks for (Lk 24:1–31). © 2010 Авторское Право принадлежит Церкви Бога Обществу Всемирной Миссии. Все права защищены.